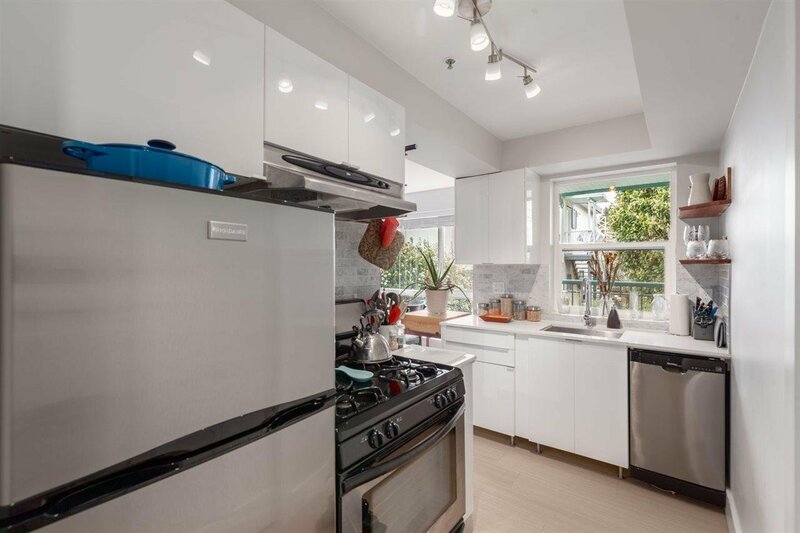 Extensive renovations and an A+ location make this home on popular Grant St a must see! 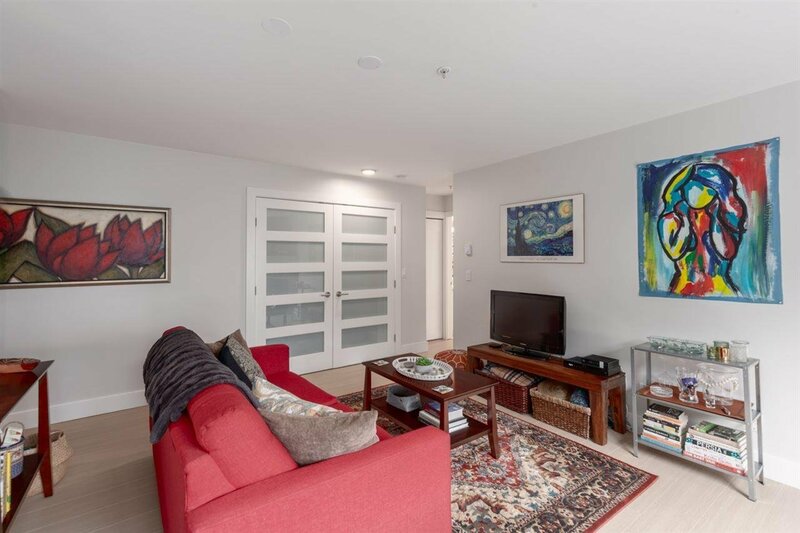 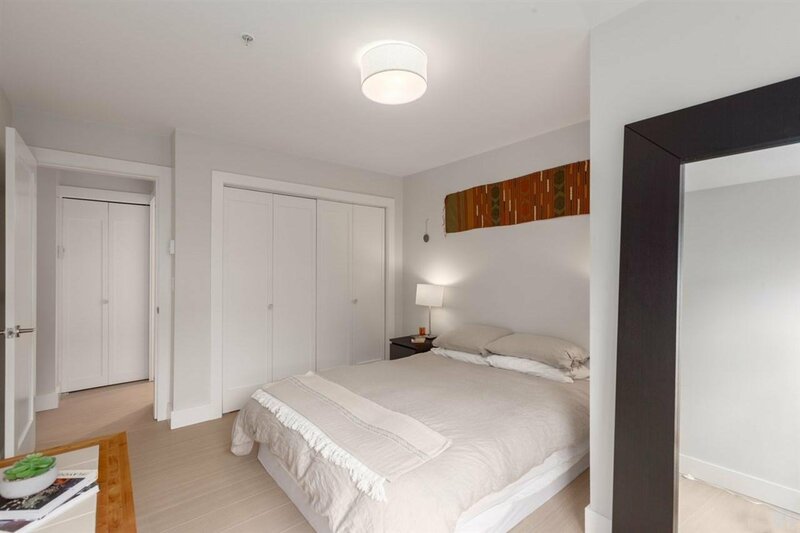 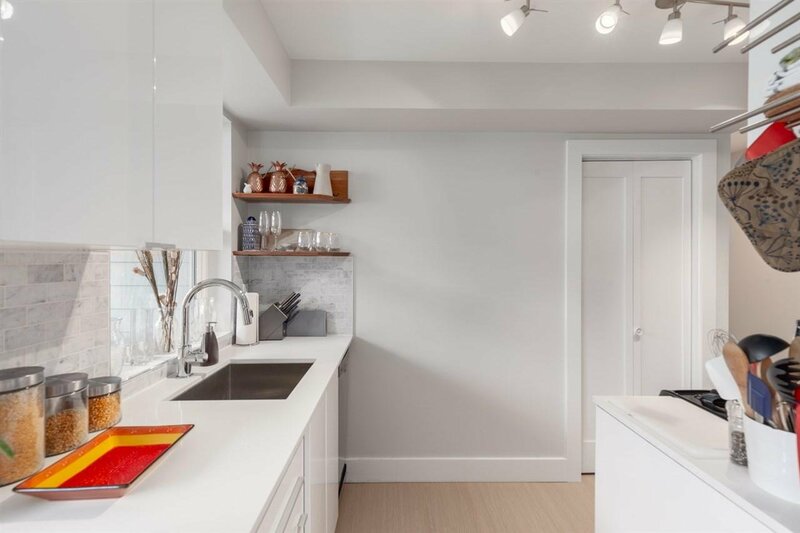 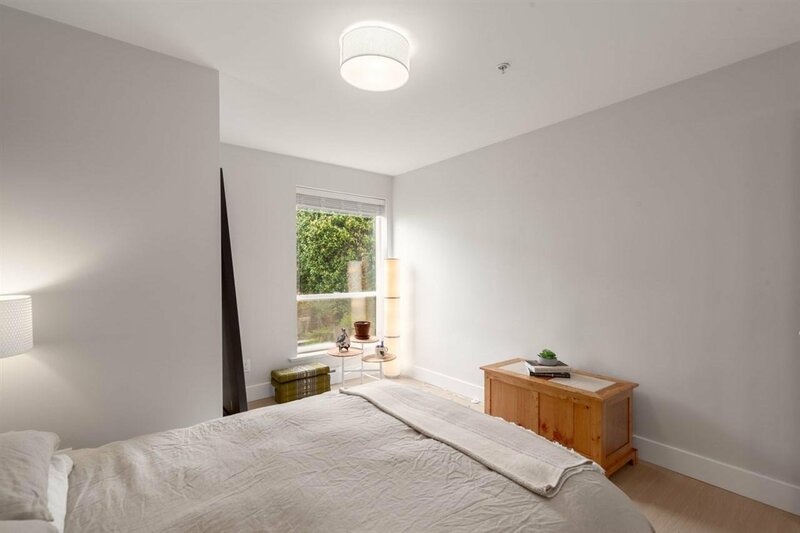 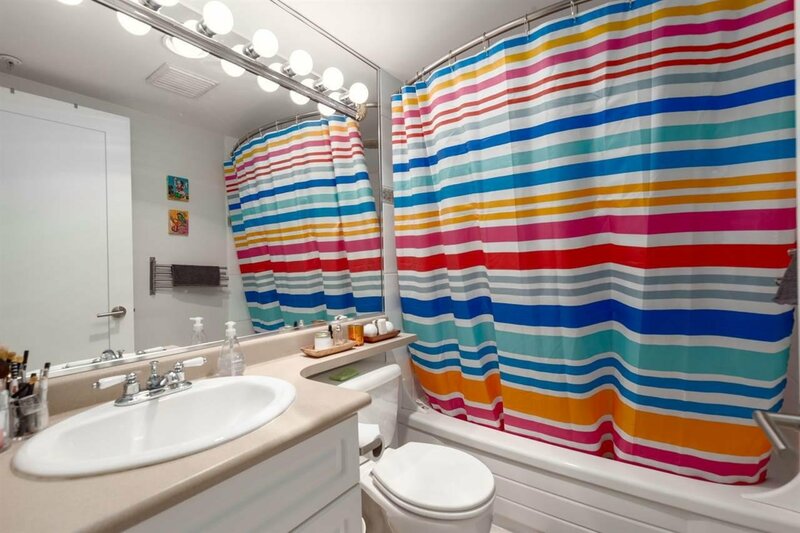 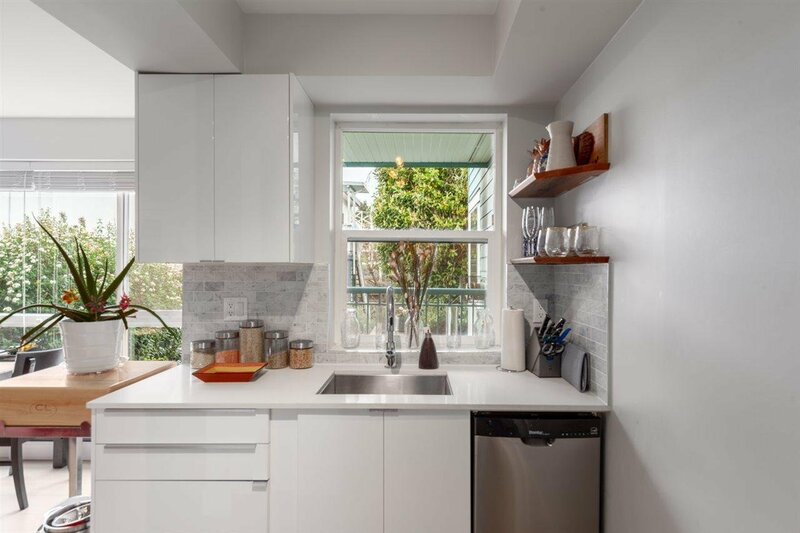 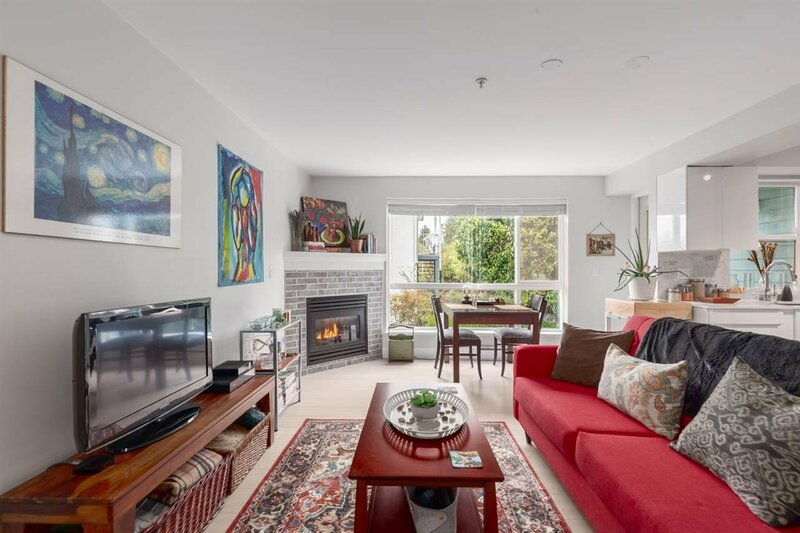 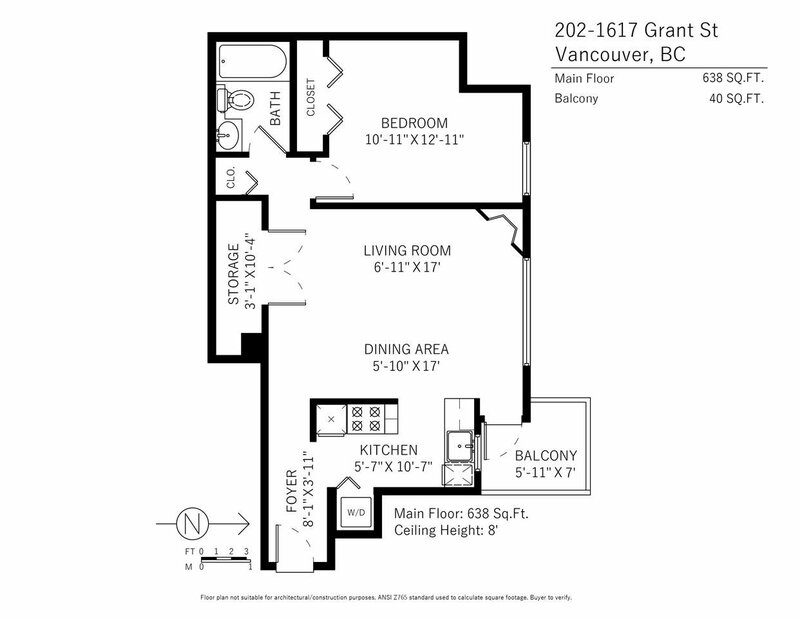 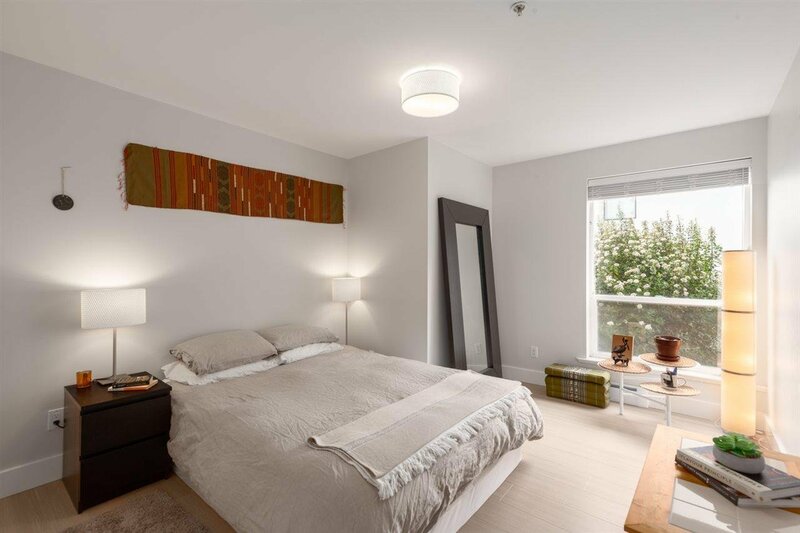 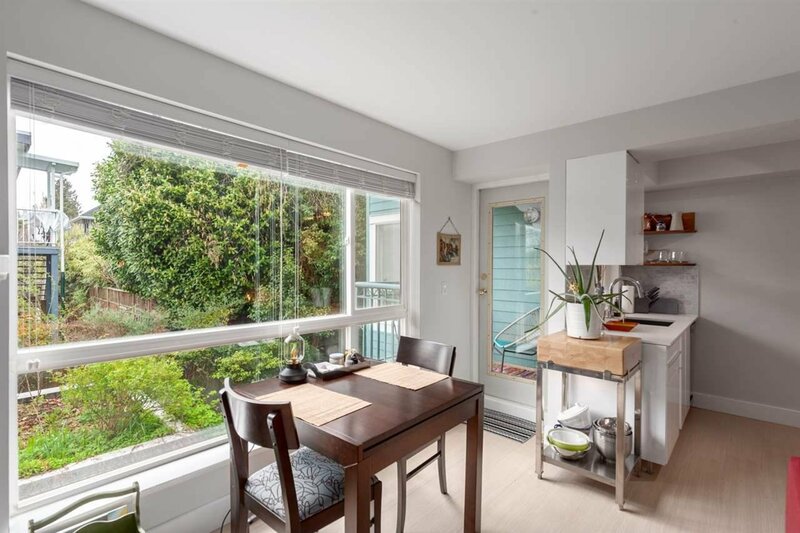 Private and bright, this 1 bed + in-suite storage home has received numerous updates including paint throughout, flooring, kitchen cabinets, quartz counters, backsplash, stainless steel kitchen appliances with gas range and more! 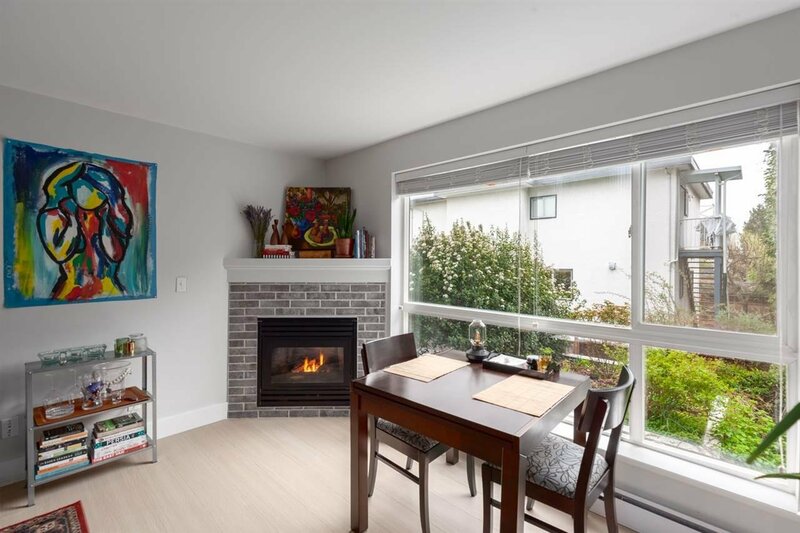 Make sure to check out the cozy gas fireplace with new brick surround and in-suite laundry. 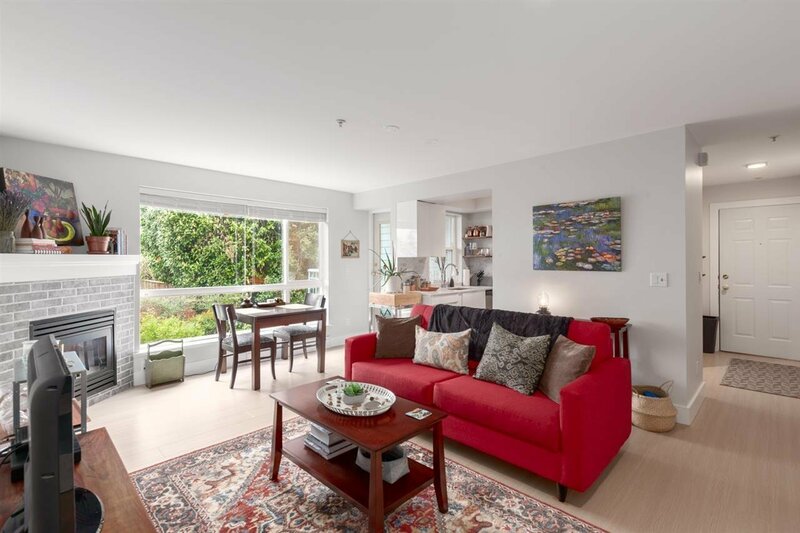 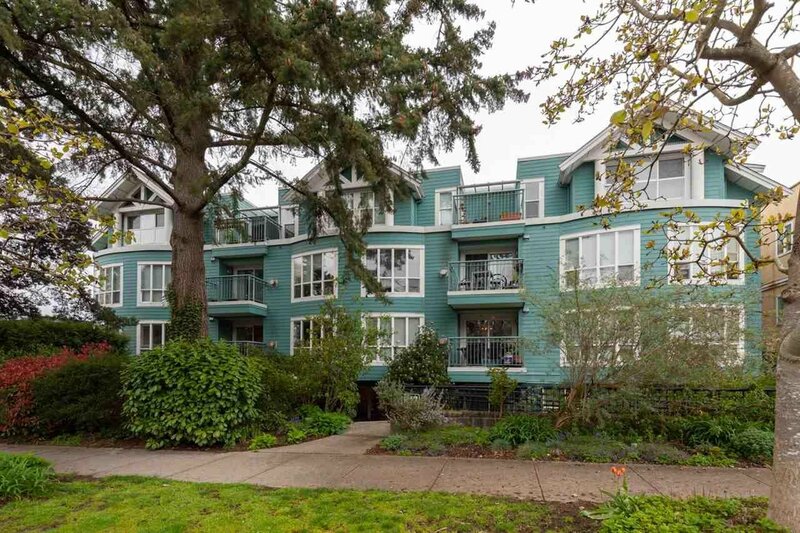 Built in 1999, Evergreen Place is a boutique building of only 18 homes with a proactive strata. 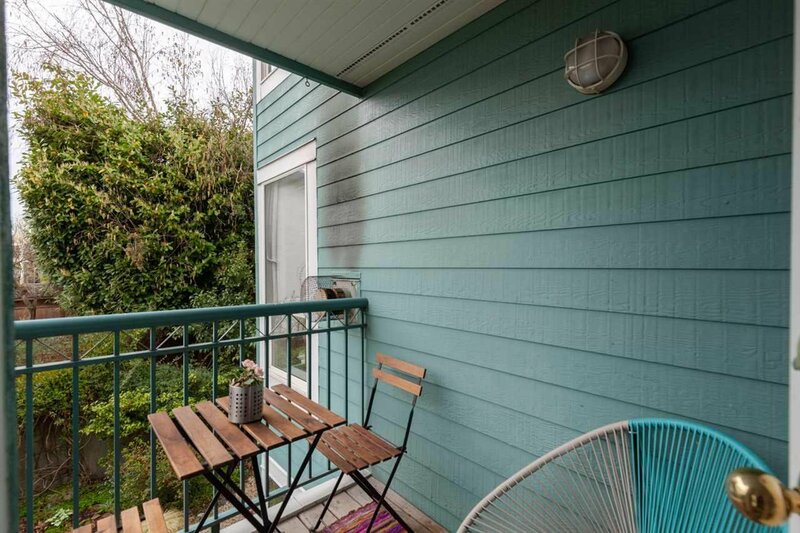 1 parking and 1 locker included with pets and rentals allowed. 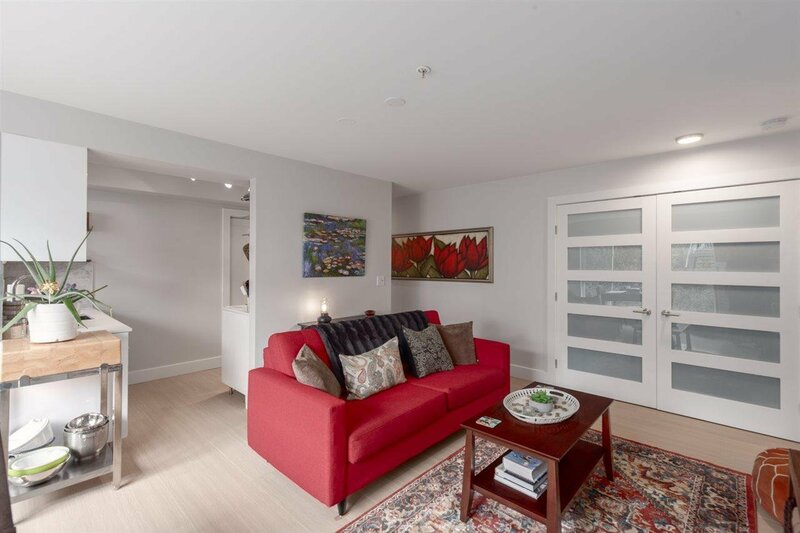 Enjoy the best of 'The Drive' steps from your home including transit, restaurants, groceries, parks and Britannia Community Centre. 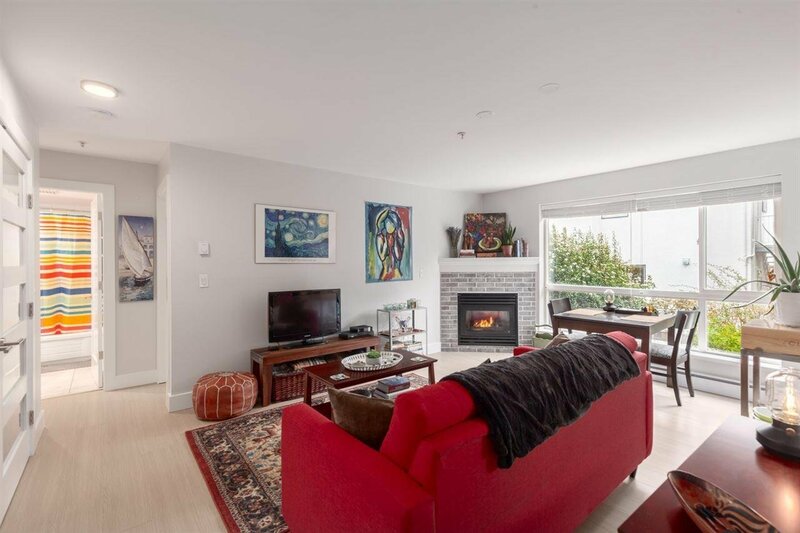 OPEN HOUSE: Sun, April 28th, 12:00 - 1:30pm.